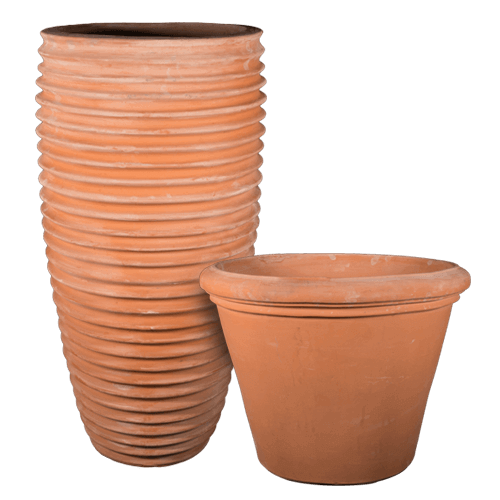 Italian terracotta planters available from Impruneta and Siena since 1998. Not only do we speak the language, but we also understand the culture. And above all we recognize the reality that only handful of workshops in Impruneta & Siena produce quality terracotta planters. I got acquainted with Kirk and his fine company when he was doing a show at the Atlanta Merchandise Mart. He offered to drive his fully packed truck to my office so I could see the different items he imports. 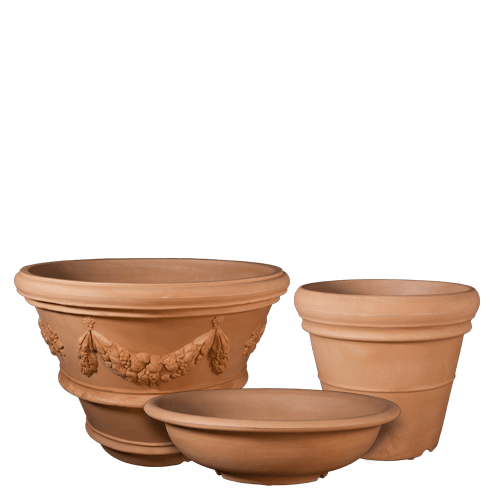 I saw the most beautiful hand-made Italian terracotta planters I have ever seen in my 30+ years of hospitality furnishings. Tuscan Imports has the most designs and shapes of hand-made clay carried by an Italian supplier. Doing business with them is equally as memorable. "For the last 15 years I've used all sorts of pots for Riverbanks Garden and some of the most elegant private gardens in the South. I am so happy that you bring the best Italian flower pots to us. Many thanks for these beautiful, durable pots, and for your amiable, informed staff, careful shipping and relaxed service. It is a pleasure to garden in such good pots and to watch some rare and wonderful plants grow old and become one with their clay!" My experiences with Tuscan Imports have always been exceptional. I never hesitate to recommend them to a client because I know I can count on excellent quality products by the best supported service around. That, combined with great style and prices make them my first choice for terracota. We found it a pleasure to do business with Tuscan Imports. They provide our customers with a range of Italian garden vases, from grand to small, well made and favorably priced. 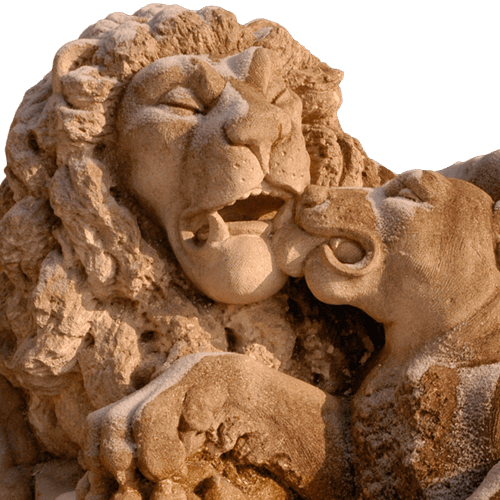 Their careful workmanship and natural coloring fit easily into the landscape, practical beauty that has been inspiring in Italian gardens for centuries. Thank you for visiting Tuscan Imports. 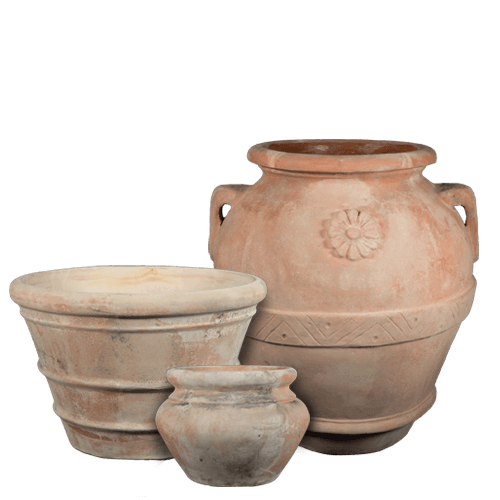 In 1998 we began our company by offering a variety of terracotta planters, vases, & bowls from Italy. 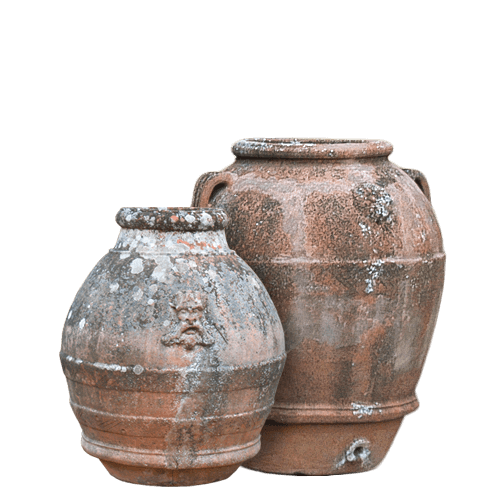 Since that time we have expanded our product line to include terra cotta olive jars, urns, & statues. 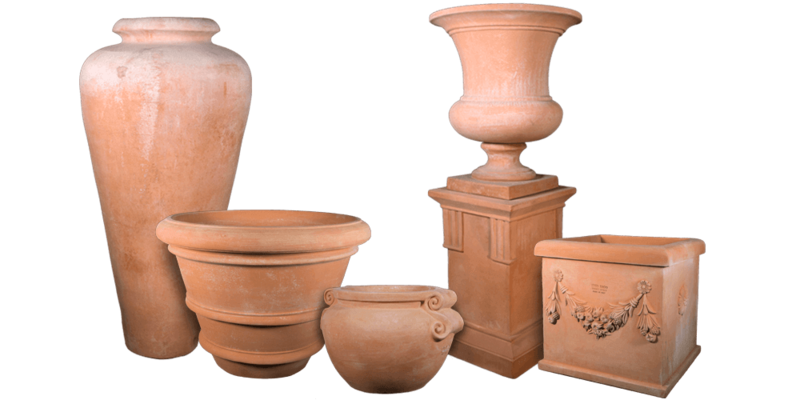 As a result you will find that we offer one of the largest selections of authentic Italian terra cotta available on the market. Since we have spent nearly ten years living in Florence, Italy, we have direct contact with artisans that create the most beautiful and unique terracotta planters and vases. First of all, we speak the language. Secondly, we understand the culture. So we recognize the reality that only handful of terra cotta workshops in the region produce a premium quality terra cotta planter. For this reason we only source our terra cotta from the best workshops in Impruneta & Siena. 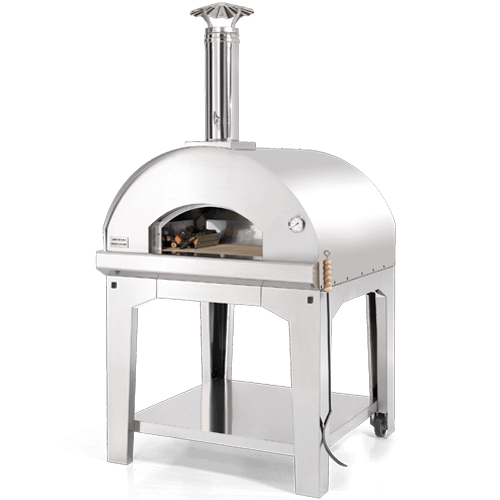 It is worth noting that the quality of the product we offer is unsurpassed. And our customer service is second to none. Therefore our clients tend to agree! Tuscan Imports strives to offer fair pricing. For this reason we offer trade discounts to qualified companies. Because our prices are so competitive, we choose not to list them online. So we would be happy to email you a price list or a catalog. All you need to do is contact us with your request. We would love to hear from you.